Brookhaven Retreat, a unique voluntary residential facility exclusively for women with mental health and/or substance abuse issues, is excited to celebrate their 6th anniversary with a special guest speaker joining them for the celebration. March is a very exciting month at Brookhaven Retreat - this year they are celebrating their 6th anniversary! They are thrilled to be moving into their seventh year of service dedicated to treating mood disorders, personality disorders, addiction and trauma issues in women. The medical and clinical strength of the Lily, Poncho, and Sweet Pea programs are evidenced by the ongoing growth of the alumnae who continue to embrace the philosophy of Brookhaven Retreat and who have shown that tremendous work, sacrifice, and determination along with a commitment to the process by the client, their family, and the treatment team result in lasting psychological health. Staying well takes a lifelong dedication to healthy behaviors and their alumnae exemplify this and serve as models for clients who are currently in the process of getting well. 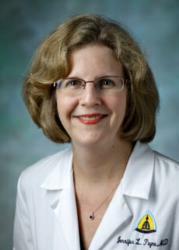 Brookhaven Retreat is excited to announce that Dr. Jennifer Payne, MD, Director of the Women’s Mood Disorders Center and an expert in women’s mental health will be joining them as a guest speaker in their celebration on March 26, 2012. They look forward to Dr. Payne's input and contribution towards the continued growth of the programs at Brookhaven Retreat. Brookhaven Retreat would like to take this opportunity to thank all agencies and facilities who have assisted them in making it possible for Brookhaven Retreat to continue to grow and provide phenomenal care in the search for emotional excellence in women.